Completely different. Today I have a guest post over on The Well Appointed Desk about my recent foray into the world of fountain pens. Check it out! 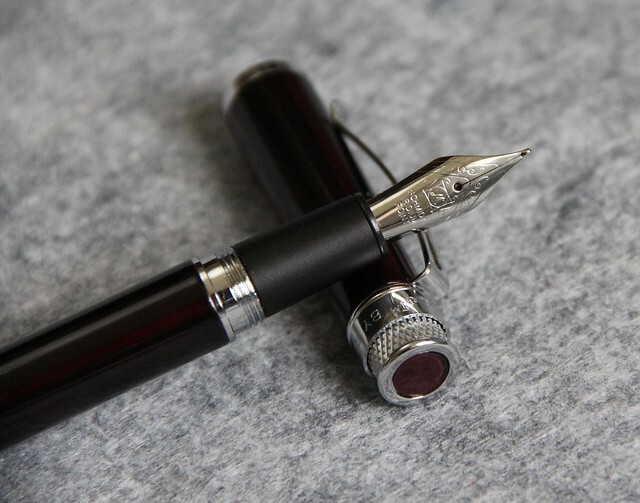 Retro Tornado in Black Cherry with a Medium nib. Previous The Corner of Knit & Tea: Episode 135, Ply Away! Next The Corner of Knit & Tea: Episode 136, Finished my Fade.